Stuart Soldate focuses his practice in reinsurance transactions, securitization transactions, acquisitions and mergers (including major international deals), leveraged buyouts and spin-offs, as well as the formation, capitalization and recapitalization of insurance companies. He has worked on a wide range of projects for insurance companies as well as insurance projects for corporations whose major focus is not in the insurance area. Mr. Soldate also has extensive experience in insurance product and corporate-level tax issues, captives and related matters. He has advised mutual insurance companies on many aspects of reorganization, including mutual holding companies. In addition, Mr. Soldate has structured extended warranty programs for several major auto producers. 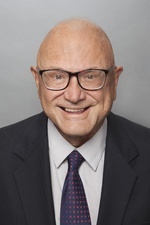 Mr. Soldate joined Hinshaw & Culbertson LLP in October 2014 as a result of the merger of Hinshaw and the Los Angeles-based firm of Barger & Wolen LLP, where he practiced for more than three decades.